Find the nearest coffee shop to you or any location in the world. 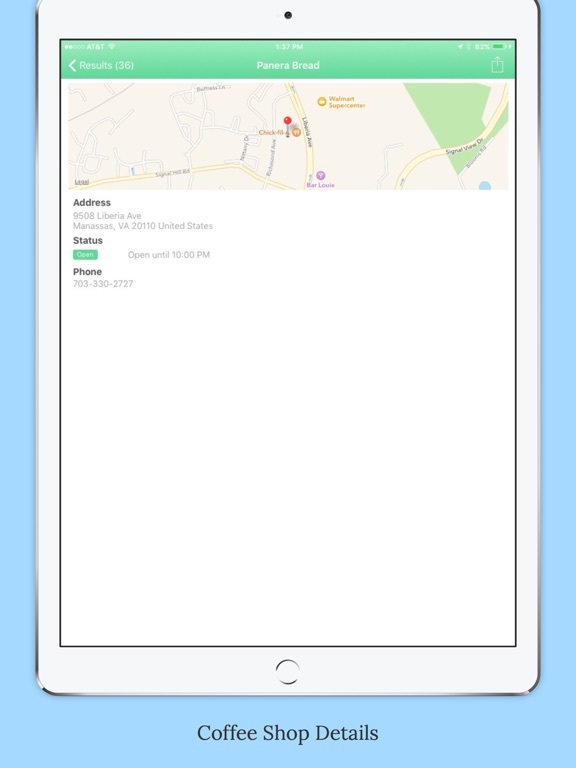 Just launch the app and see your nearest coffee shop or search for specific address. Now supports all types of Coffee Shop including Starbucks, Dunkin' Donuts, McDonalds as well as smaller coffee shops. Get directions or call the coffee shop. Universal app for iPad, iPhone and iPod Touch. Buy once, run on all devices. • Find coffee shops, coffee shop hours and amenities around you. 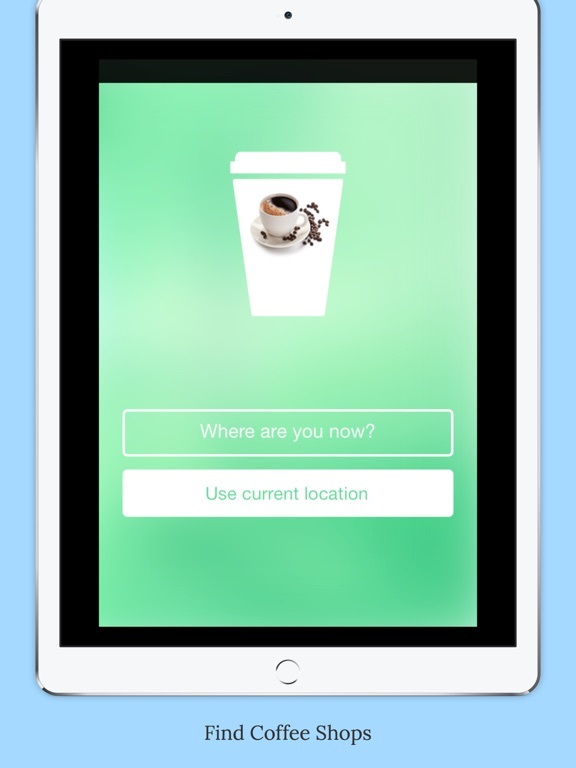 • Shows distance from your location (or a location you choose) to any coffee shop. 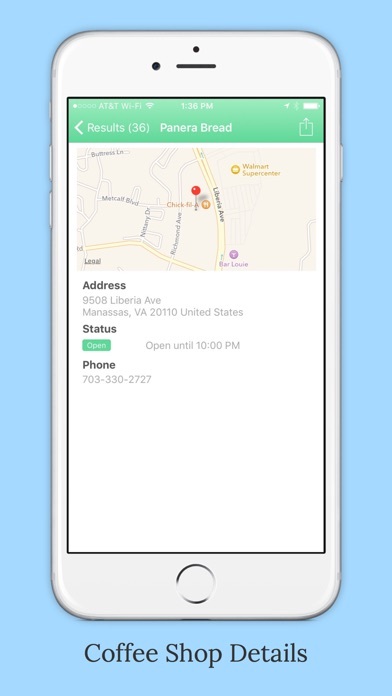 • Shows coffee shop name, address, current status (open or closed) and phone number. On iPhone, selecting phone number will call the coffee shop. 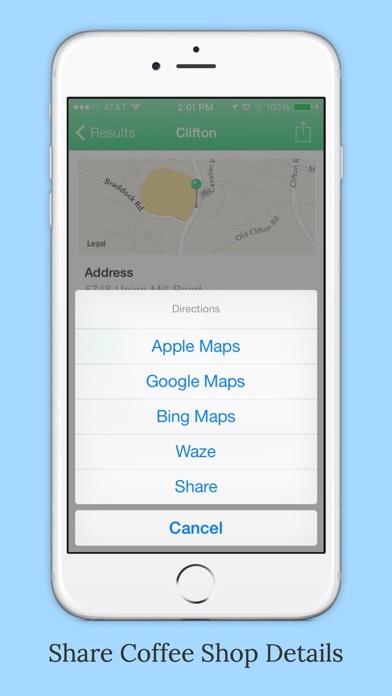 • Get directions to the coffee shop using Apple Maps, Google Maps, Bing Maps or Waze. 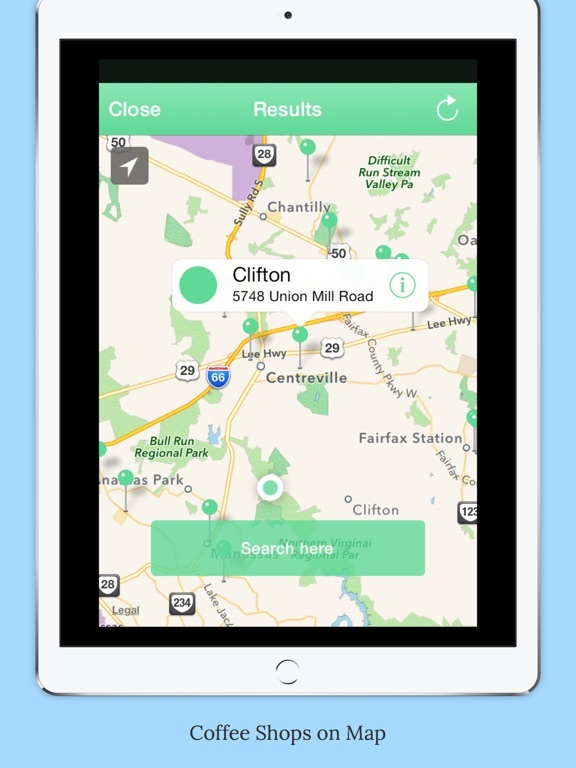 • Swipe and move map to new location and do a new search. 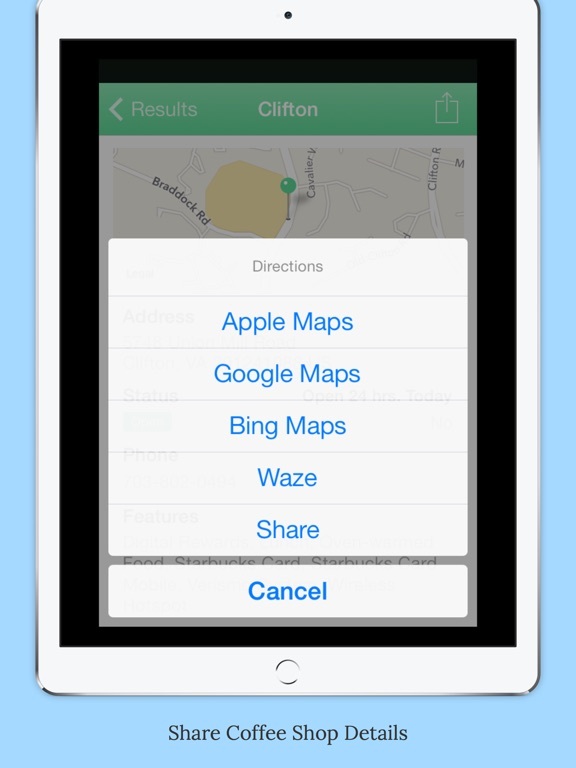 • Get directions to the coffee shops using the Share option menu. 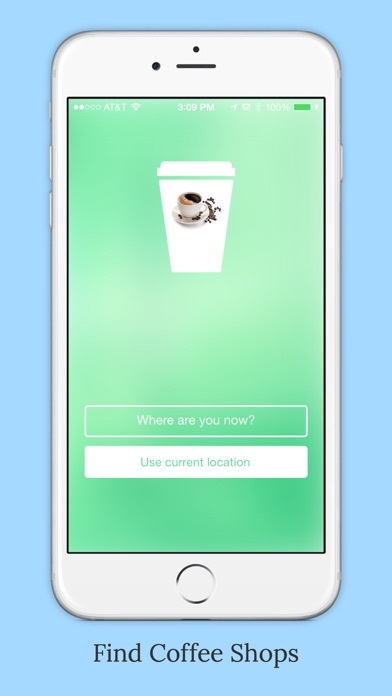 • Share coffee shop directions using Facebook, Twitter, iMessage, Email or AirDrop. • Search locally or around the world for any coffee shop you want. Includes almost 21,000 coffee shops in 63 countries. This is not an official Starbucks app. 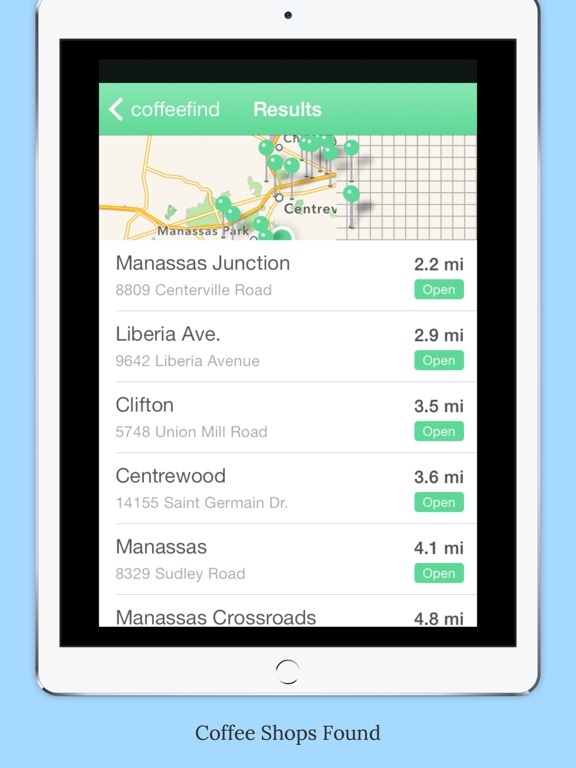 CoffeeFind is an app that contains beverage and outlet details information that is available for public. The products, company names and logos mentioned on this app are trademarks of their respective owners. Other Apps by MarkelSoft, Inc.